Bhavesh and I are extremely lucky to be known as Khushil's parents. 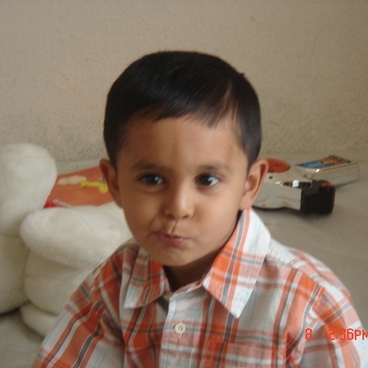 Khushil was a very positive, funny, loving, caring, honest, and inspiring young boy. Khushil is our only child. Khushil's proudest achievement is his Duke of Edinburgh Award. He completed all the four sections in just 10 months. Khushil received the 'Most Inspirational' award at the DofE celebration evening. But he was not only inspirational as a DofE participant. Khushil inspired everyone through the quiet, methodical, determination he exhibited every day of his life. His attention to detail, his wit, his stubborn will to improve and succeed; his love of science, music, football, art and the natural world. Khushil had the passion, dedication and commitment to his studies. He loved school and those that taught him were awestruck by the positive attitude he showed towards his learning. Of course, what made Khushil's achievements even more astounding was the fact they were achieved against a backdrop of such cruel adversity. 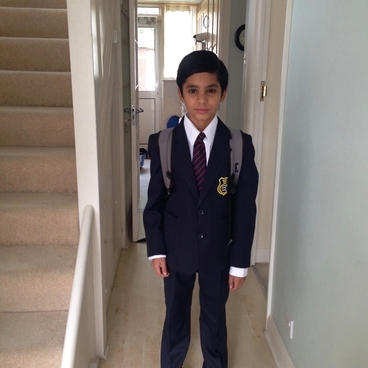 Khushil ensured all his medical appointments and treatment would take place before or after school. In the final months, as his physical mobility deteriorated, the perseverance shown to simply get to school was astonishing, to go on to achieve so much even more so. Khushil did not see his illness as something that would stop him, just another life hurdle that could be overcome - as always with dignity and tenacity. Khushil wanted to become scientist and a zoologist. He received Student of the Year award and kept on going against all the adversity. He had the courage to stay calm in any situation and taught us how to live even if the life makes you live through your worst nightmare. My son, Khushil, had a saying for life's surprises - 'So what?' Khushil did not let life's surprises phase him. He did not let them knock him back, and in doing so he proved an inspiration to us all. Khushil was diagnosed with his brain tumour DIPG (Diffuse Intrinsic Pontine Glioma) at the end of March 2015. It was the biggest shock of our life. Bhavesh and I could not believe that just a squint in an eye could be so deadly. We noticed a squint in Khushil's eye and we booked an eye check up with our local optician. When we went there, the optician did the check up and then told us to go to Western Eye Hospital in Baker Street. The doctor checked Khushil and told me that "I am going to ring Northwick Park hospital and you straight go there". I asked the doctor is everything ok, she replied,"Yes nothing to worry about it's just that I want them to do a MRI test and get it checked." At that point I had no idea what it exactly meant. As per Bhavesh and I were concerned it was just a scan to find the reason for this squint. Khushil was admitted on 25th March night and scan was done the next day. In a day our perfect life was changed to a biggest disaster. We were told that Khushil has been diagnosed with a brain tumour and we are going to refer to UCLH (University College of London Hospitals). On 1st April 2015 we had an appointment with Dr. Shankar at UCLH and he told us that Khushil has been diagnosed with DIPG and unfortunately has no cure or medication. The only treatment that Khushil received was radiotherapy. Due to the type and where it happens, Khushil's tumour could not be operated. Generally, the life span is very short 6-9 months from diagnosis and quality of life is unfortunately poor. But Khushil lived 2 years and 6 months, a marathon and lived his life to full. His life is his story. From day one we knew what is going to be the result of this devastating situation. Khushil not only taught us how to get through this but lived his life that is an example to all of us. He inspired everyone who came in contact with him. DIPG might have taken Khushil physically from us but could not take the spirit that Khushil has left behind for us to live with. Khushil has always cheered up everyone in his company and left a legacy of positivity and has inspired everyone around him. As parents all we want a change in the world of DIPG and get some research done in terms of treatment and medication as currently there is nothing. The only way to stop from parents losing their cheeky little ones is raise funds for research which would make difference and also give some hope to parents. Everyone is helping us raise funds for The Brain Tumour Charity including friends, family, Khushil's school and from our work place. But one thing for sure it makes us even more to do everything we can to raise funds so that parents around the world don't have to go through the same pain and agony. We understand that it is not going to happen immediately or easily but we all join we can surely make the difference. Please read the book dedicated to Khushil named 'Perception Experiencing the Wonders of Life' for the full story.